Get ready for the best lasagna recipe ever. As Matt and I were eating this we both kept looking at each other nodding, going this is SO good. I mean it was meat free and honestly better than most meat lasagnas I have had. I know lasagnas can be time consuming but this one is worth the time. It makes a huge dish so you can have leftovers for days. I actually ended up taking some over to our neighbors and we still had plenty left for leftovers. This would be a great dish to make and take half to a new mom. This can all be assembled ahead of time and then just baked at dinner. A few tips: don't skip the salting and drying of the veggies it helps get the moisture out so your lasagna won't be soggy. You could easily sub kale or spinach for the swiss chard if you wanted. Do not use no boil noodles, it will make the dish soggy, you need to boil your own. Pile on the cheese. It may seem like a lot of layers but that is what we loved about it. This is such a great way to use up your Farmer's Market produce! Place sliced zucchini in a colander and sprinkle with salt to cover. Let sit 20 mins then remove to paper towels and pat dry. Repeat this step with the eggplant and squash. In a bowl mix the ricotta cheese, 1 cup parmesan cheese, the eggs, basil, 1/2 tsp salt and 1/2 tsp pepper. Mix all together. Spread one cup marinara sauce in the bottom of a 9 x 13 baking dish. Top with 4 noodles. Top with zucchini and roasted red pepper then 4 more noodles. Spread 1/2 the ricotta mixture and 1.5 cups marinara sauce and top with 2 cups mozzarella. Top with 1/2 the swiss chard, all the eggplant, 4 more noodles, and 1.5 cups marinara sauce. Top with yellow squash, and remaining swiss chard. Spread the remaining ricotta and top with 2 cups mozzarella and 4 more noddles. Spread remaining marinara if there is any left and top with fresh mozzarella, and 1 cup shredded parmesan cheese. Bake 1 hour and 15 minutes. if the cheese starts to brown too quickly cover with foil halfway through. Let stand at least 15 minutes before slicing. Last night I went to a fun Pop-Up for Ibu Movement. They sell so many cool handmade items from impoverished parts of the world. The event is still going on at Zero George for any locals who want to stop by. 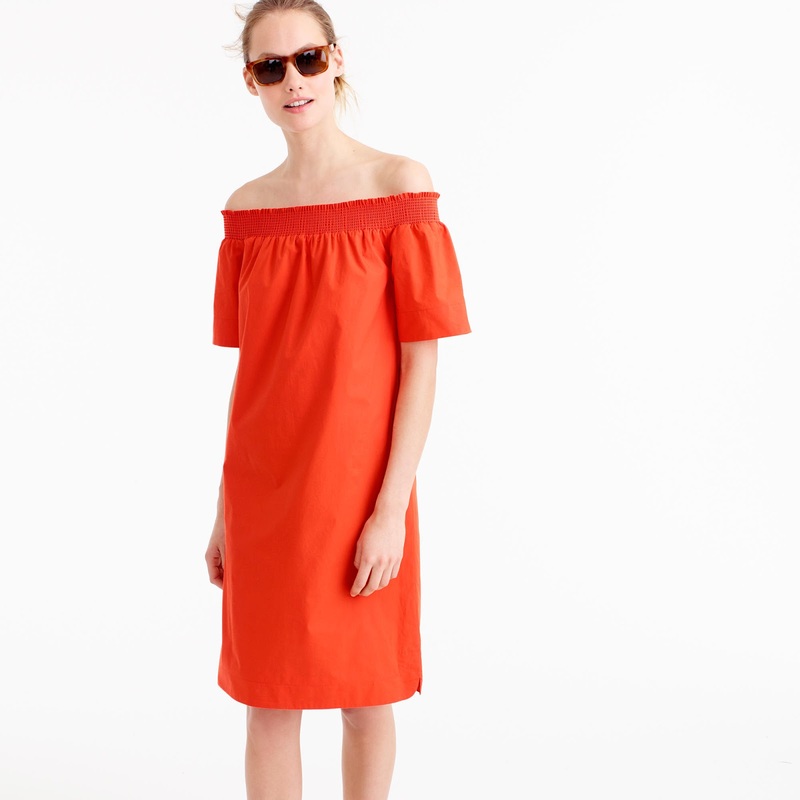 I wore this bright orange off shoulder dress. The orange color is sold out but it is still available in a pretty pink color and it's under $80! 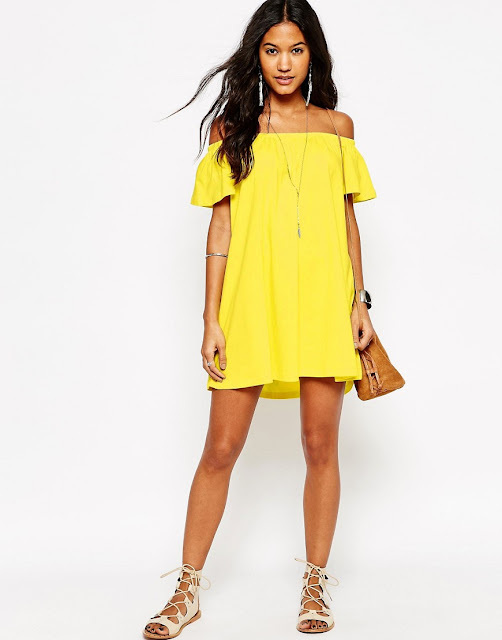 I rounded up a few other Off Shoulder Options all under $100. This one is right over $100 but I wanted to share it because it is the dress version of the blouse I have. Do you use traditional noodles or the kind you can use without boiling first?